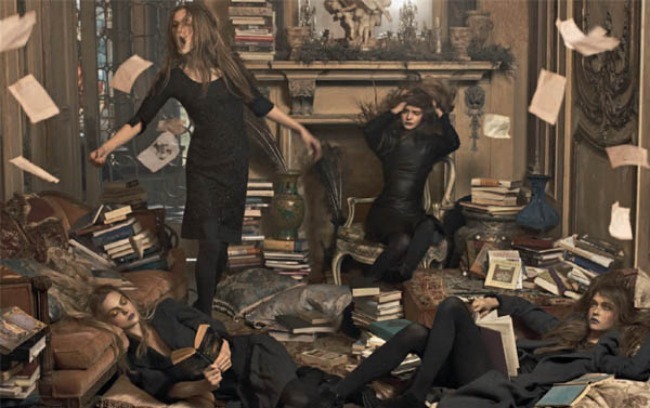 This is an older (2009) campaign by Steven Meisel for Alberta Ferretti. I love the combination of chaos and finery, and of course also love the fact that it all takes place in a wild home library full of flying books. this is so cool Rebecca! being a librarian you must love this. such a neat concept.